If you asked JoAnn Marzouk the secret to her successful nursing career in Women’s Health at Northwell, the answer is simple: great leadership. JoAnn started at Northwell in 2004 as a per diem Clinical Nurse Project Manager. Four titles and two degrees later, JoAnn has just been promoted to Nurse Manager at Islandia OB/GYN Contemporary Care, and she credits this accomplishment to her leaders who pushed her along the way. This progression led her to her current specialty in Women’s Health where JoAnn is helping to redefine health care with each nurse she mentors. Transitioning to Women’s Health has JoAnn ready to take on new challenges. JoAnn’s been working in Women’s Health since 2016 when Donata Megaro hired JoAnn as a Nurse Supervisor at Women’s Comprehensive Health Center. This provided her with an opportunity to explore and learn another nursing discipline, which catapulted her career in Women’s health. This experience at WCHC has prepared JoAnn for the next step in her career. “I am very privileged and excited to take on another new challenge in the OBGYN service line with a recent promotion to nurse manager at Contemporary Women’s Care in Islandia. Nurses have to understand that ambulatory nursing is significantly different than working in a hospital and that the responsibilities for nurses can at times be underestimated.” This is an underestimation that JoAnn is working hard to change. During her managerial time at Northwell, she hopes to be able to give new nurses the necessary skills tailored for physician practices, starting with developing strong telephone triage skills. Starting her career with Northwell back in 2004 was an easy decision for JoAnn. “I could foresee the growth of the system even then,” she says, “I knew that this was a health system to be reckoned with and that they were doing things the right way.” Working per diem also provided her the flexibility to be at home with her kids. From there, JoAnn went fulltime before she was recognized by her leader Wendy Carnel, VP, Revenue Integrity Ops, to do more project work in the hospital. Next, she was approached by her mentor, Winnie Mack, SVP, Health Systems Ops, to become the Nurse Manager at Southside for Wound Care. Desiring to continue growing as a nurse, JoAnn enrolled in a Southside cohort to get her BSN onsite at Southside through Farmingdale University. She went on to graduate with Leadership Honors, receiving a nursing leadership award and giving the speech at graduation. Her education didn’t stop there. JoAnn was provided an opportunity to return to school again. In another cohort environment, set up once again by Southside Hospital, JoAnn earned her Master’s Degree in Nursing through Stony Brook University in two years while still working fulltime. JoAnn feels very indebted to Tricia Lewis, Director of Nursing Education & Research at Southside Hospital for providing such an incredible opportunity for her to further her education. 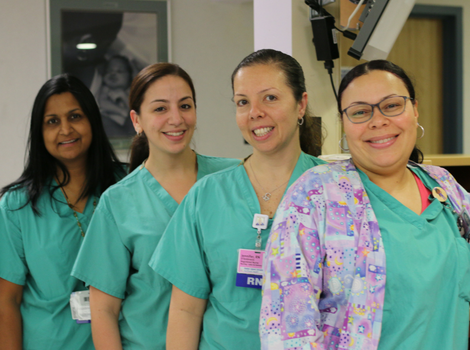 And it’s not just new nurses that JoAnn is inspiring – her own daughter has started her career with Northwell and is an assistant coordinator in Research at Zucker Hillside Hospital. Part of building a great nursing team, means to keep learning herself. This October marks JoAnn’s next return to school. This time she’ll be working towards Doctorate in Nursing Practice, receiving tuition reimbursement from Northwell. 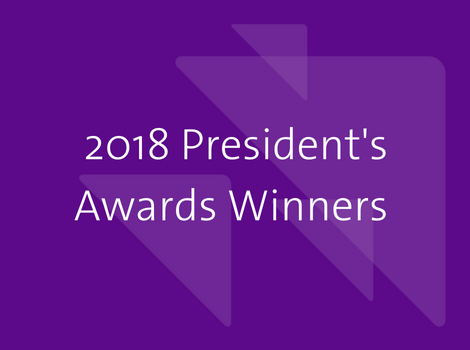 Top 10 reasons to work as a nurse at Staten Island University Hospital Meet the 2018 President’s Awards Winners!